Backers of an initiative that would allow San Diego State University to buy the former Qualcomm Stadium site in Mission Valley for campus expansion are scheduled to begin seeking petition signatures Saturday. The Friends of SDSU have until the end of December to collect more than 71,646 valid signatures to qualify their SDSU West Campus Research Center, Stadium, and River Park Initiative for a ballot next year. If the initiative qualifies, it would likely go head-to-head with the SoccerCity plan to redevelop the site, which became available when the Chargers moved to the Los Angeles area. SoccerCity has already qualified. “Since our announcement of the initiative, we’ve had an overwhelming show support from San Diegans who are ready to make SDSU West a reality for the university, our city and our region,” said Kim Kilkenny, a member of the Friends of SDSU steering committee, made up of alumni and supporters. “Every milestone takes us one step closer toward our goal of transforming the existing stadium site into a vibrant mixed-use campus village and innovation center that increases long-term collaboration between education, athletics, research, entrepreneurship and high-tech business,” Kilkenny said. Four signature-gathering booths will be set up in the stadium parking lot Saturday beginning at 3:30 p.m. to attract fans headed to the Aztecs homecoming game against Fresno State. The football contest kicks off at 7:30 p.m. The group also plans to have 75 signature-gatherers in front of grocery stores and other locations around San Diego. The initiative authorizes the sale of 132 acres of the property to the university, which would then be required to create a comprehensive plan for the site. 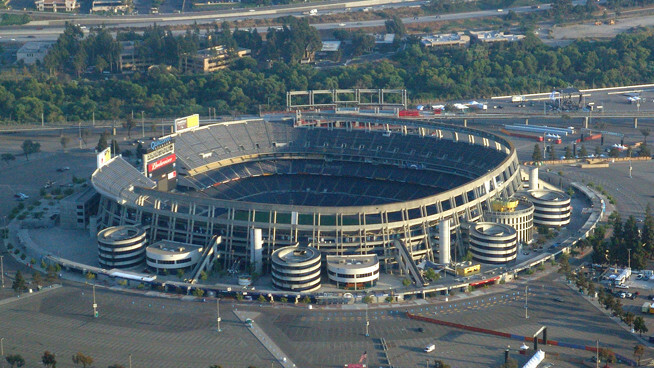 The plan envisions developing commercial, office and retail space; hotels; a park with walking trails along the San Diego River, 22 acres of additional recreational space, and a stadium that would house the Aztecs football program and, potentially, a professional soccer club.